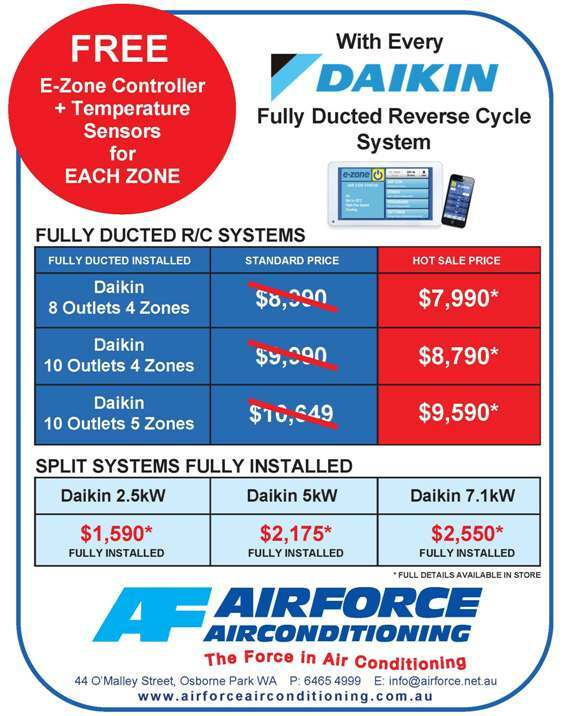 You can find all the latest promotions and deals from Airforce Airconditioning on this page. From air conditioning units and control panels to specialised parts, our promotions will have you feeling warmer or cooler in no time. 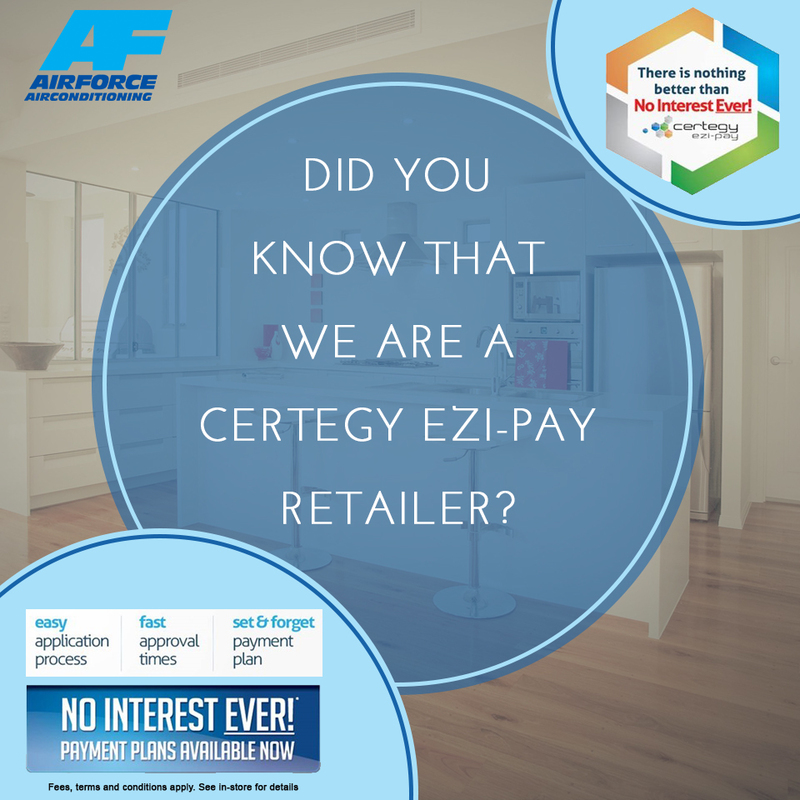 Certegy Ezi-Pay is available in our Perth and Bunbury branches.